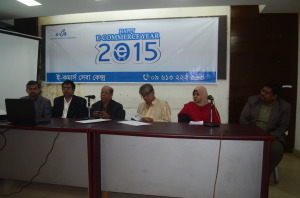 Today, e-Commerce Association of Bangladesh (e-CAB) opened e-Commerce Service Center. People from anywhere in the country can contact this center and get necessary information on starting their own online businesses. In addition, e-CAB announced “2015: Year of e-Commerce.” In order to improve the e-Commerce sector of the country, e-CAB undertook different programs throughout the year. To celebrate these occasions, e-CAB organized a ceremony at the National Press Club. Mustafa Jabbar, former President, Bangladesh Computer Samity (BCS) and Akhtaruzzaman Manju, President, Internet Service Providers Association of Bangladesh (ISPAB) attended the ceremony. 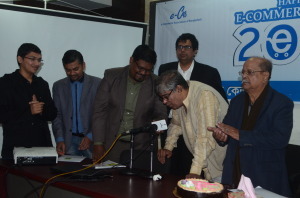 Razib Ahmed, President of e-CAB and Rezwanul Haque Jami, Director (Government Affairs), Mohammad Abdul Haque, e-CAB Finance Secretary and journalists from electronic and print media were present at the event. Sarah Zita, Chairman, of e-CAB Standing committee talked about the goals and features of e-Commerce Service Centers and shared their ideas on 2015: Year of e-Commerce. 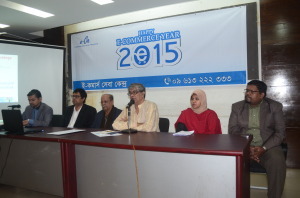 e-CAB President Razib Ahmed said, “Currently, around 500 e-Commerce sites are operating in the country. Many companies and individuals are selling their goods and services through Facebook. At present, there are around 1000 Facebook pages. Unfortunately, e-Commerce is not very popular outside few big cities. If we want our e-Commerce sector to grow, we must spread it in rural areas. With this goal, we at e-CAB decided to announce 2015: The Year of e-Commerce. We will conduct various programs to promote e-Commerce throughout the year. We are about to start a series of workshop on e-Commerce entrepreneurship in different universities. Already, we talked with few universities and they are showing great interest. Students and teachers of the universities will attend these workshops and learn how to start their businesses online-what are the opportunities and challenges. You also know that at present there are no specific laws and regulations on e-Commerce in Bangladesh. For this, we have planned to organize a series of Policy Dialogues. Individuals and organizations, involved in the e-Commerce industry, will participate in these policy dialogues share their thoughts and ideas. We will take their feedbacks and prepare a set of recommendations for the government on developing laws and regulations for the e-Commerce. We will then talk with concerned authorities and submit the recommendations and pursue them. We will also organize e-Commerce Fairs, seminars, and other events. We are planning to do research on Bangladeshi e-Commerce sector and publish an e-newsletter. e-CAB Director (Government Affairs) Rezwanul Haque Jami said, “ It gives me great pleasure to tell you that e-CAB is opening up e-Commerce Service Center. Our’s is a developing country with huge potential. The youth are our most important resources. Currently, young people aged between 10 to 24 accounts for 30% of our total population. They are our future citizens. 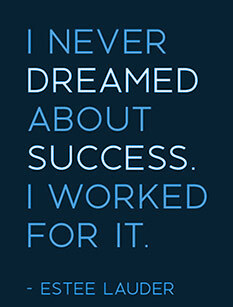 Many of them are highly motivated and drive. They want to start their own businesses. e-Commerce can give them that opportunity. The e-Commerce Service Center will provide assistance to such individuals. e-CAB is the first trade association of Bangladesh to start such a service center to nurture young entrepreneurs. People from anywhere in the country can contact this service center and get necessary information on how they can open their online shops. Mustafa Jabbar Former President, Bangladesh Computer Samity (BCS) said that the e-Commerce Service Center is a good initiative of e-CAB. I strongly hope and believe that this service center will go a long way in popularizing e-Commerce in the country. More than a decade has passed since e-Commerce came to our country but the sector did not grow as expected. Still, all the e-Commerce site has cash-on-delivery system. People do not feel safe to do transactions online. Delivering goods and services to the customers is a big challenge for the e-Commerce companies. We must work together to overcome these challenges. By declaring 2015: Year of e-Commerce e-CAB will establish that effort. I hope that 2016 will be a great year for Bangladesh e-Commerce sector. At the ceremony, Mustafa Jabbar called at the e-Commerce Service Center and officially announced its opening.